Abstract: With high end PCI Express videocards in short supply, those of you looking for the best performance may want to cast an eye towards nVIDIA's GeForcePCX 5900 series. With high end PCI Express videocards in short supply, those of you looking for the best performance may want to cast an eye towards nVIDIA's GeForcePCX 5900 series. Priced near the top of the mainstream scale, the GeForcePCX 5900 offers gamers a lot more punch, for just a little more money. 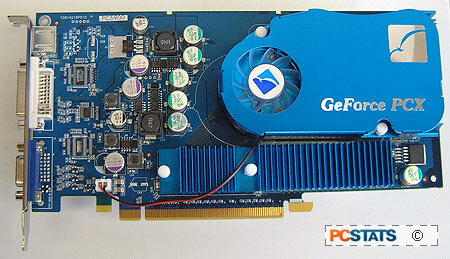 The GeForcePCX 5900 is not simply a stop gap solution till higher end cards become available, it's a quick GPU! 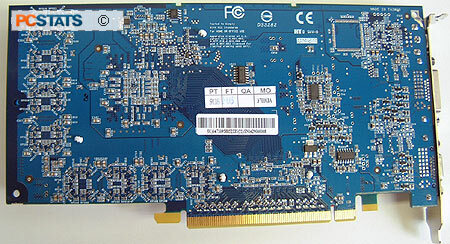 The PCX 5900 core itself is architecturally identical to its AGP counterpart, the GeForceFX 5900, but nVIDIA engineers have placed a HSI (High Speed Interconnect) chip between the GPU and PCI Express which allows them to communicate together. In this review we'll see the part of the GPU being played by nVIDIA's GeForcePCX 5900. 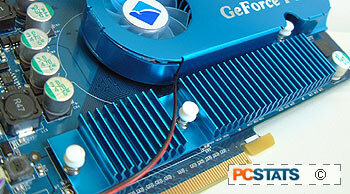 The videocard in question is the Albatron Trinity PC5900, which is obviously based on the GeForcePCX 5900 GPU. The Trinity PC5900 videocard is powered with 128MB of DDR RAM, and supports both analog and DVI monitors. There is also an S-Video out. Albatron includes everything you'll need to connect your PC to the TV, but it seems they forgot the DVI to analog converter for those of you who want to use dual analog monitors. 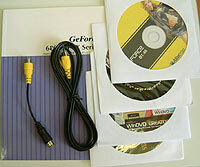 In terms of software, the Trinity PC5900 card comes with WinDVD/WinDVD Creator, Duke Nukem: MP and a five game demo CD. Albatron's colour is blue, and their products all sport the same shade of royal blue. The layout of the Trinity PC5900 is a little different from usual, and as you can see, it is also pretty long at 21.5 cm in length. In our tests, we found that we had have to remove the Trinity PC5900 videocard from the test board (a Gigabyte GA-8ANXP-D motherboard) every time we needed to access the floppy drive connector. Not a big deal really, but depending on your motherboard's layout, you may find a card of this length obscures IDE or FDD connectors. Best to blame this one on nVIDIA's PCX5900 reference design. You probably notice the absence of any external power connector, with the core only clocked at 350 MHz and memory at 550 MHz, it doesn't need the extra power supply. The software package included along with the Albatron Trinity PC5900 is a little thing, but I guess you can't ask for much considering it's one of the most affordable GeForcePCX 5900 cards on the market right now. Plus, with the money you save, you can buy yourself a copy of Doom 3! Noise is an issue many manufacturers are trying to do away with, and in this respect the Albatron Trinity PC5900 fares nicely. It is extremely quiet during operation, thanks to its cooling solution which also keeps temperatures under control. In our tests, the Trinity PC5900 did get pretty hot during the benchmarks, and considering how much heat the other system components generate on an i925X or i915P motherboard, I'd recommend beefing up that case airflow.